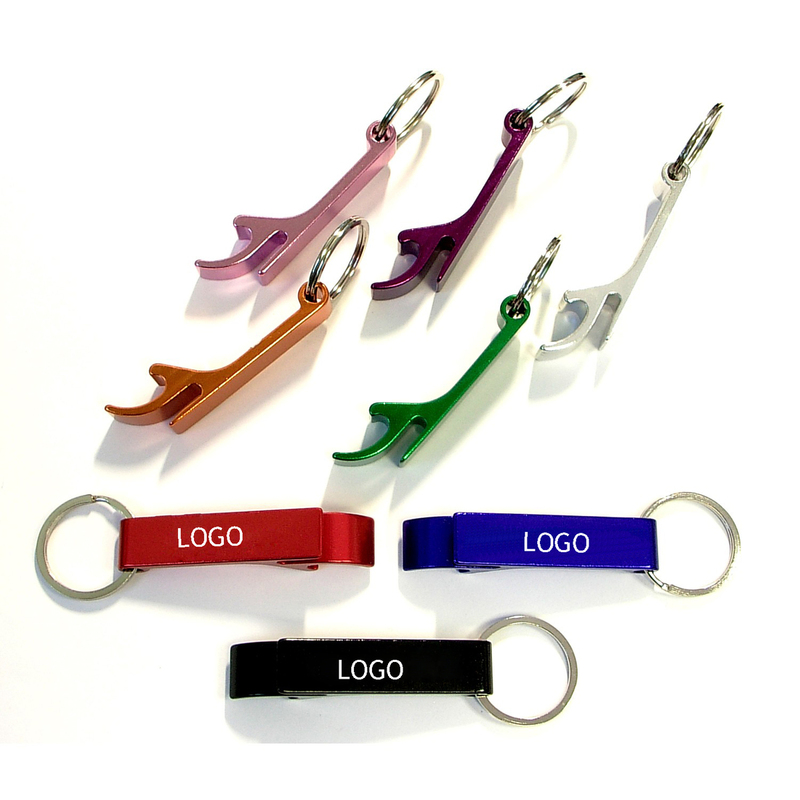 Deluxe plain aluminum can and bottle opener with split key ring. Flip top can. A great gift of beer bottle and pop bottle key holder! Solid aluminum construction with metallic color finish. Ideal imprint area for logo. Laser engraving is available.